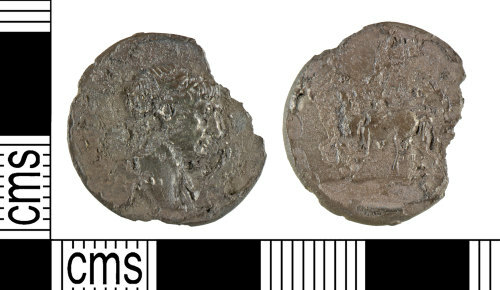 A silver denarius probably of Commodus dating to the period AD 177-192 (Reece Period 9). Uncertain reverse type depicting horse and rider left. Mint uncertain.